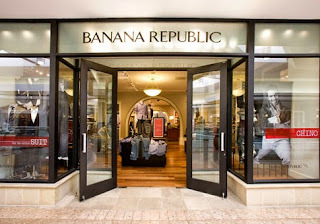 In Store Only: A special in store offer for teachers and students from banana republic, save 15% off everyday. Must show your teacher or student ID's. In Store: Don't need a coupon if you shop in Banana republic stores. Online: Enter code GREAT in their promo box at checkout. Printable Coupon: Friends and Family. Buy 5 items at regular price items in store and get 50% off all 5 items. At Banana Republic's store, you always get free shipping on orders over $50; add great deals with Banana Republic coupons and you save even more! They also have a great Clearance department online where you'll find 40% off discounts on jeans, dresses, skirts, shoes, handbags, jewelry and accessories. Enjoy a stylish season and save with Banana Republic and Mommy Saves Big.